Wow! What a start for a new series! Vex was brilliant! LS Anders has taken a leap into the world of paranormal and landed perfectly. She has created a world with demons, fairies, angels, and shifters that could actually exist. Mythical Ink is my new favorite PNR. A demon and a fairy. Not a likely couple. He tries to fight the attraction, and she's determined to have him. I loved Vex and Alea together, their chemistry is flammable, leaving a trail of fire behind them. In Vex, everything is beautifully balanced. 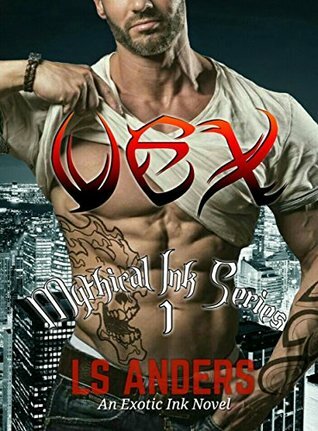 Romance, action, friendship, family... there is nothing too much nor too little; Vex is an incredible combo of interesting, versatile characters and perfectly flowing storyline. Sign into Goodreads to see if any of your friends have read Vex.